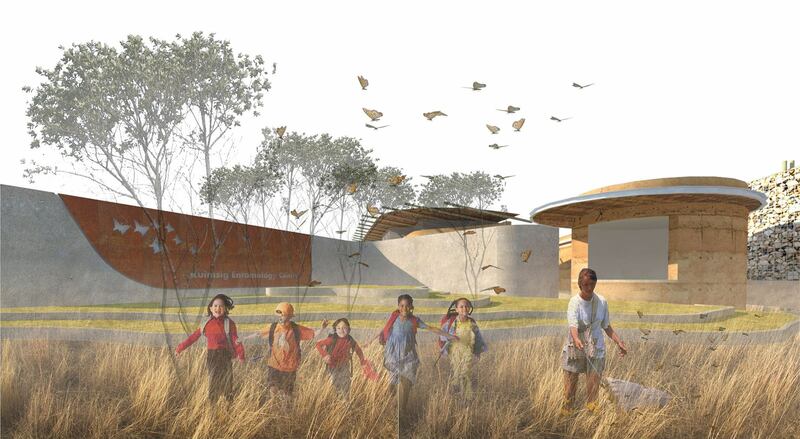 We were appointed 10 years ago in 2006, together with Blueprint Landscape Architects and VMR, to design a concept for an entomological centre for the Ruimsig Nature Reserve near Roodepoort. 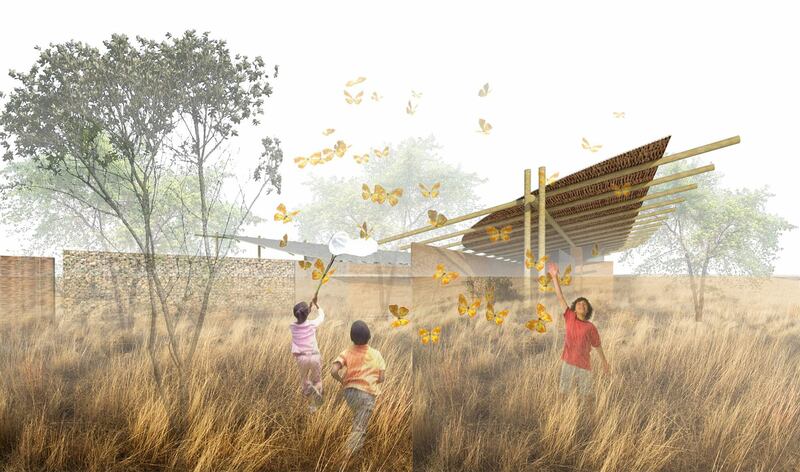 The project was an initiative by local enthusiasts, including Mr John Leroy, to establish this project as an educational centre to preserve the Roodepoort Copper, a red listed butterfly species only found in this particular area. The design was inspired by the tectonic qualities of the structure of a butterfly wing. The project was terminated due to lack of funds, but there is a possibility that we now have new sponsors on board and we are very excited about this renewed opportunity.